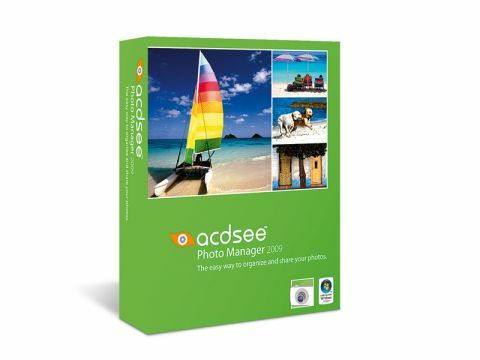 As the name implies, ACDSee Photo Manager 2009 is essentially an image managing suite that allows you to catalogue, tag and easily find the photos on your laptop. However, it also comes with numerous image editing tools, making it worthy of consideration. The interface is built around a catalogue view, quickly highlighting all the image folders within the Windows Pictures folder. This lets you arrange and sort images with ease. Navigation is fairly simple, with all Windows folders highlighted on the left side of the screen and tagging features and search categories on the right. When you click on an image, it opens up in its own window. At this point you can carry out a range of basic image editing tasks, from image rotation and cropping, to tweaking colour balance and saturation. As this is not a true image editing suite, you cannot automate the most standard tasks and the interface is not as slick or as user-friendly as the likes of Adobe Elements or Corel Paint Shop Pro Photo X2. It does cover the same array of editing features, however. For instance, you can preview changes before they are made and carry out standard tasks, such as adjusting exposure levels and fixing red-eye and skin blemishes. Each task opens in its own window, so editing a number of images can unfortunately be time-consuming. The real benefit of this program is clear when tagging and sharing your images with friends and family. You can give images star ratings, save them in a number of different categories, such as People, Places or Albums, and even automatically batch tag images. ACDSee Photo Manager 2009 isn't as sophisticated as the other suites here, but we found the editing tools were powerful enough to meet most users' needs. It is the organisational side of this program that particularly impresses, letting you tag, rate and share your images quickly and with the minimum of effort.